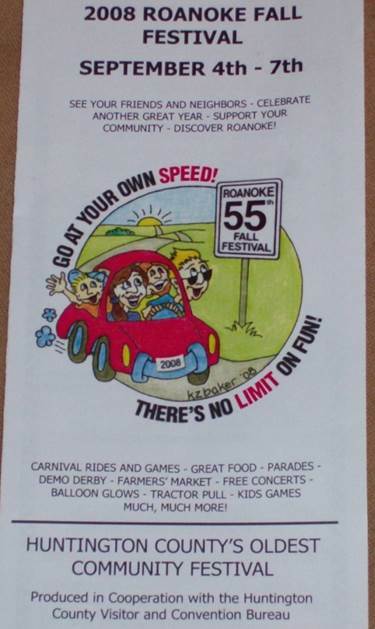 September 4-7, 2008 is the time for the 55th annual Roanoke Fall Festival. OR you can just scroll for the highlights of this event….. 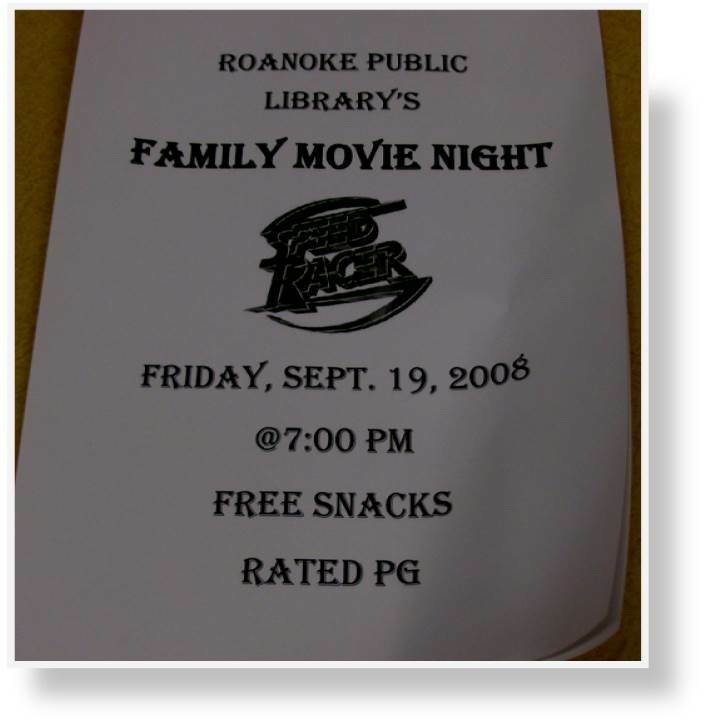 This year, the Roanoke Public Library decided to have a booth at this event. 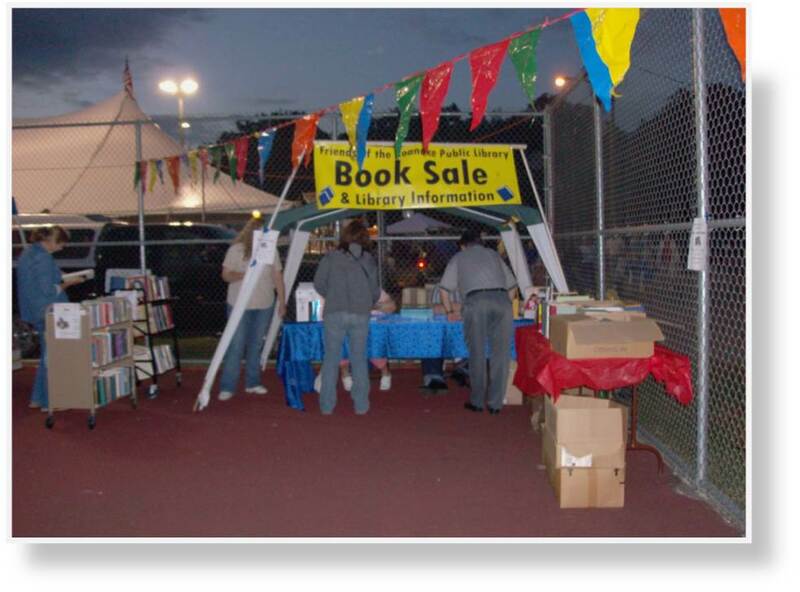 Here are some of the things that I as library director and others did to ensure the success of this event. 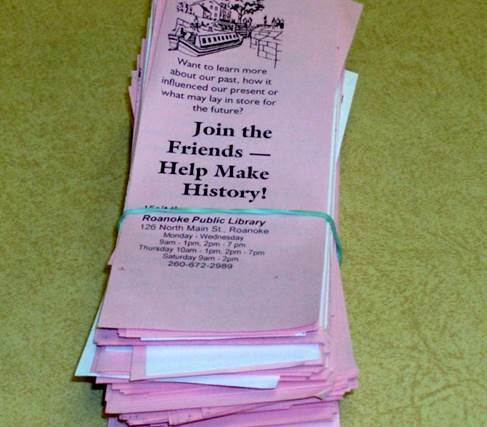 1) Print out items to pass out to visitors. 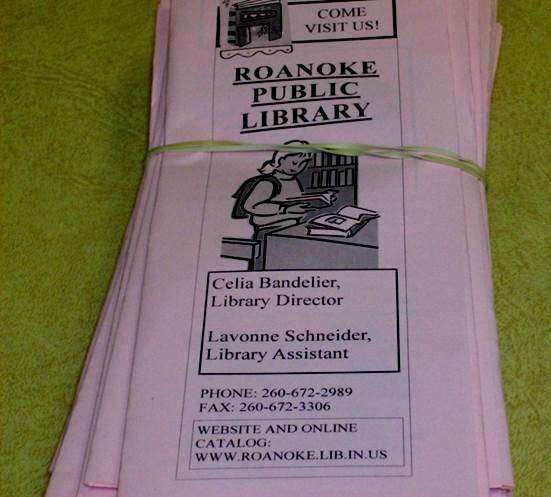 Tri-fold Roanoke Public Library brochures featuring all the facts about the library. 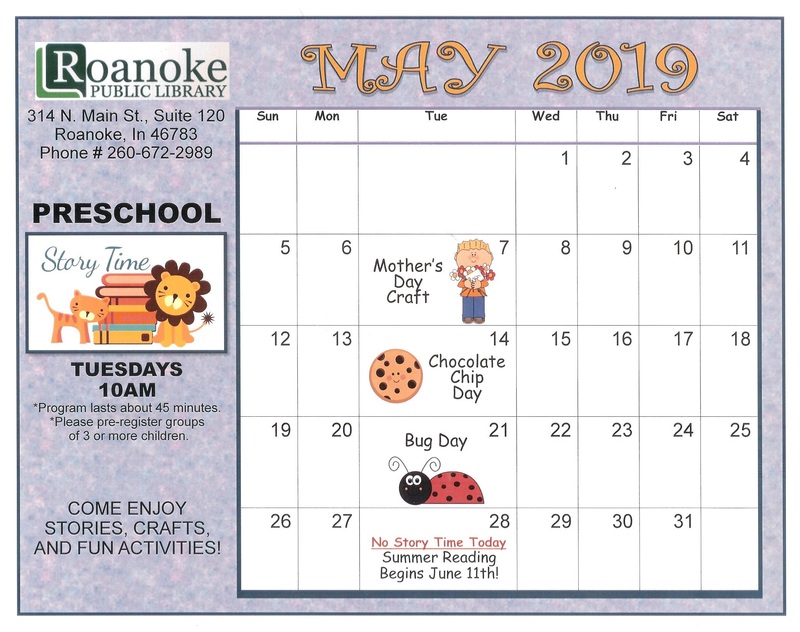 Double-sided bookmarks to promote the Friends of the Roanoke Public Library. 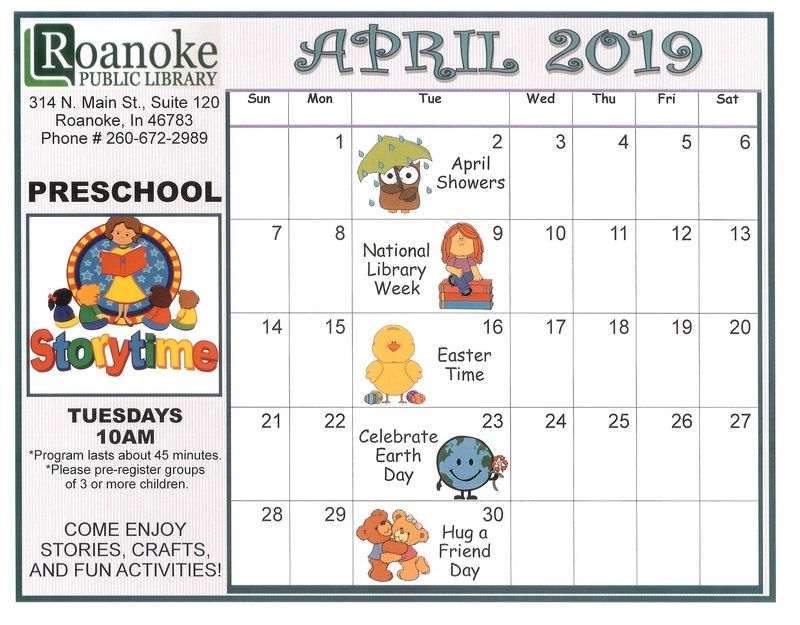 A sign promoting an upcoming event at the Roanoke Public Library. 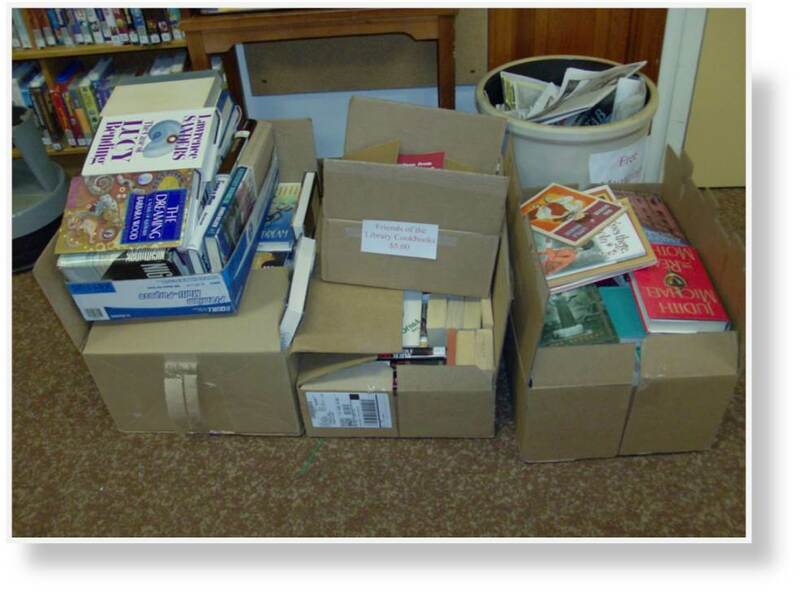 2) Box up the used books that will be sold at the booth. 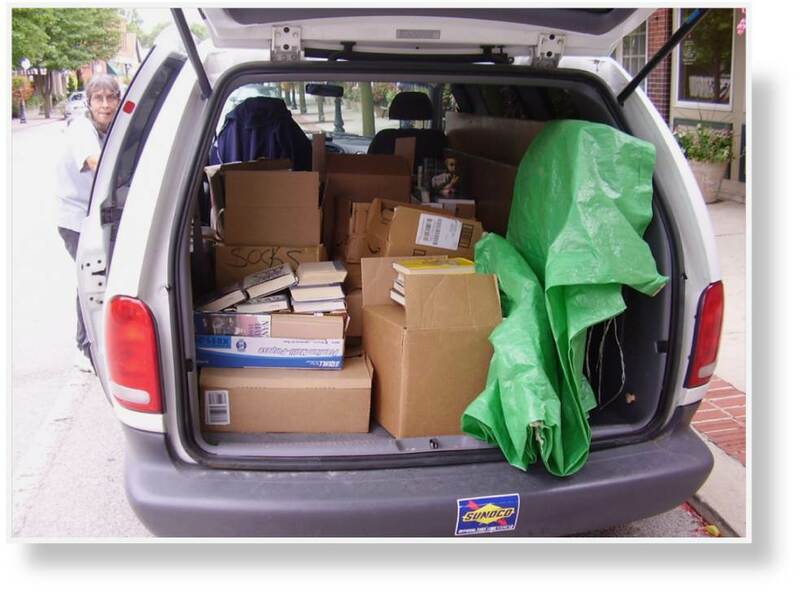 3) Pack the boxed used books and other items into a van for transportation to the Roanoke Park where the festival is held. 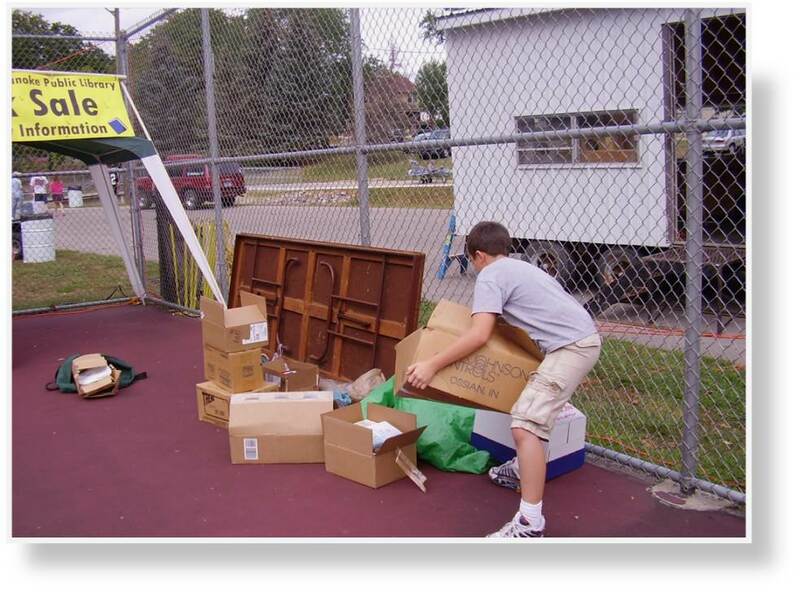 4) Get other items to the park to be used in the booth. 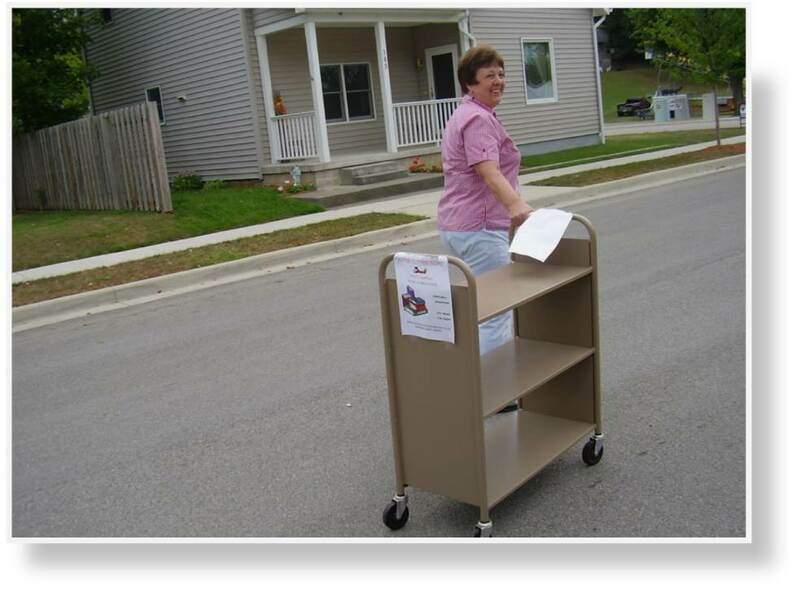 Walking the book carts to the park since the van was too full to transport them along with the used books. 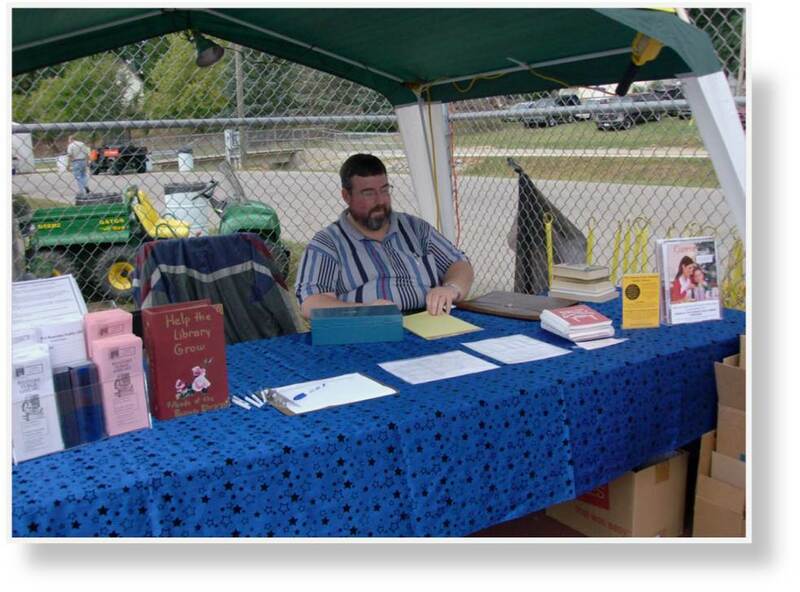 5) Set up the booth. 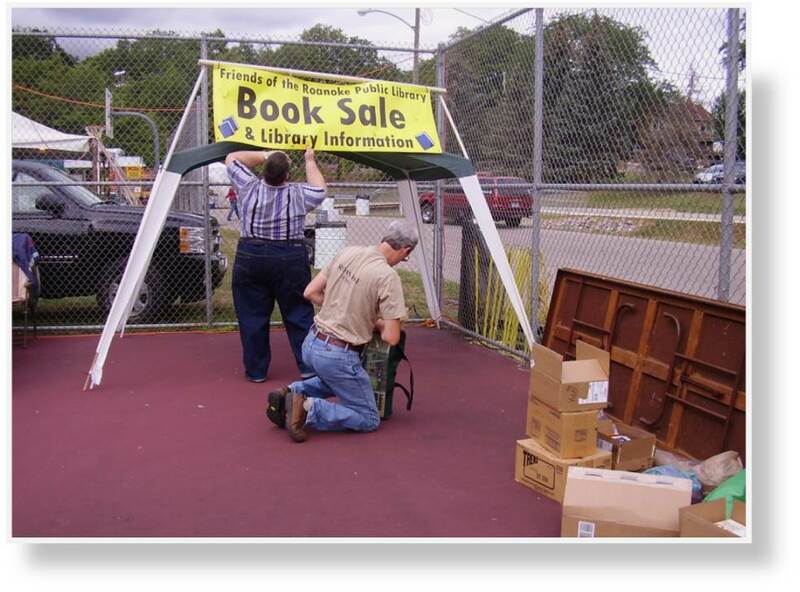 6) Unload the used books from the van. 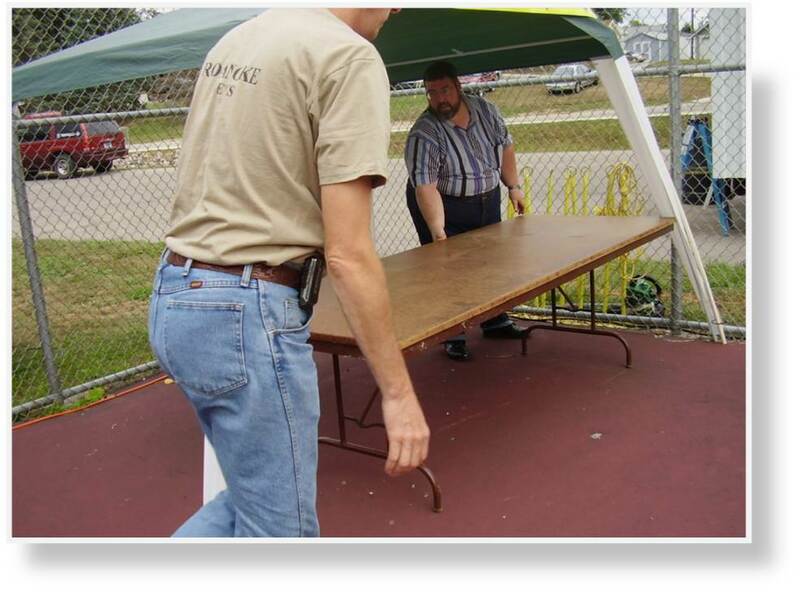 7) Set up a table underneath the booth’s canopy. 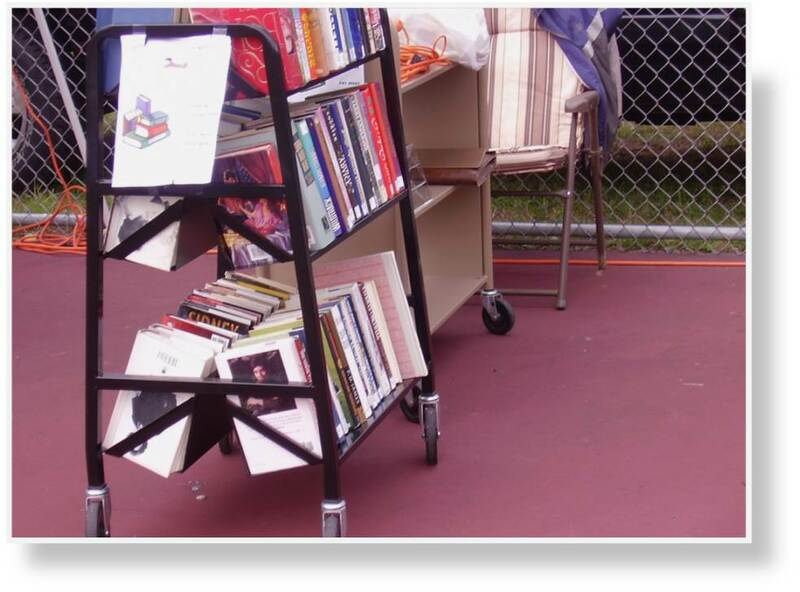 8) Refill the book carts with the used books to ready them for sale. 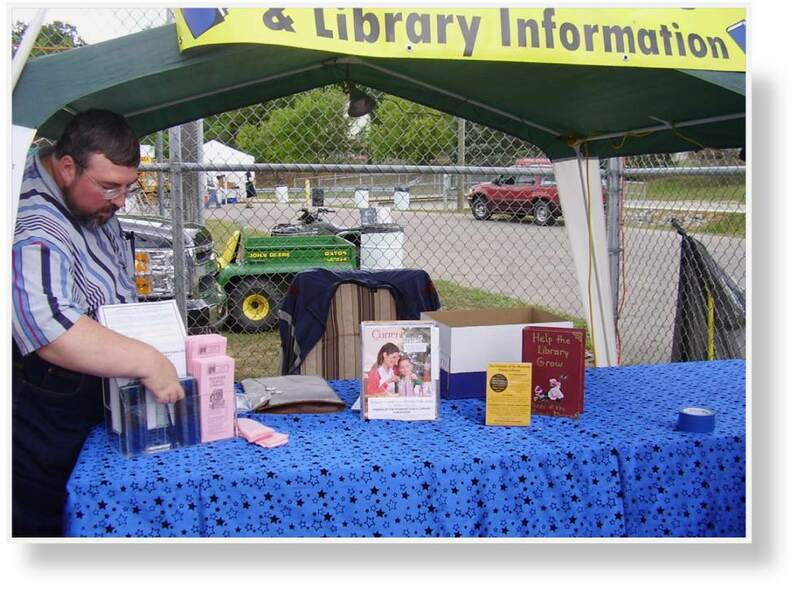 9) Ready table to attract visitors with handouts and other informational materials. Putting and arranging items on the table. 10) Decorate to attract as much attention as possible. 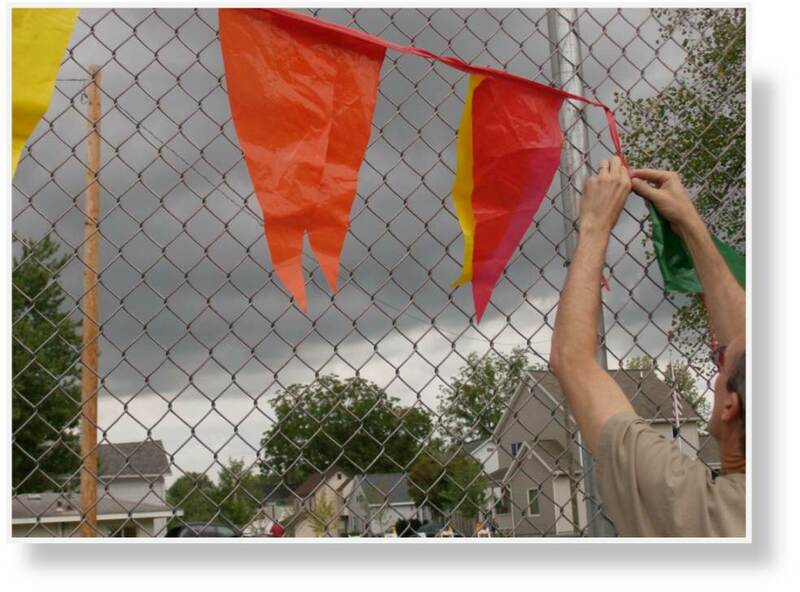 Flags are added to grab even more attention. 11) Make sure that everything is set to go. Everything is set and ready for visitors. 12) Enjoy the success of the event and the visitors to the booth. Later that night with the Roanoke Public Library’s booth in full swing.